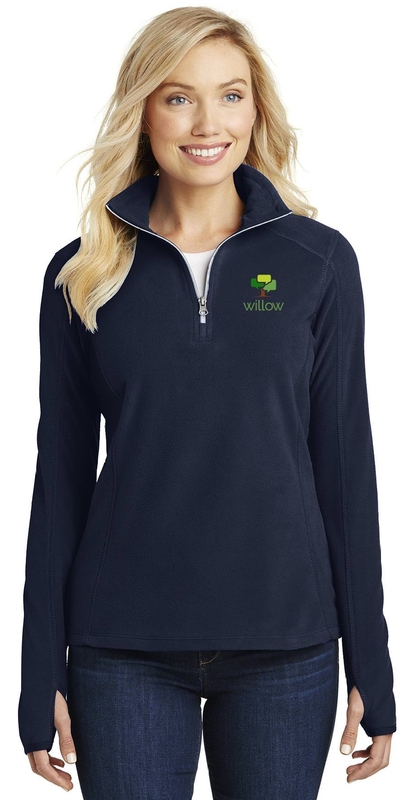 Yes, you can be comfortable, stylish, and show your Willow pride at the same time. You may purchase your embroidered Willow branded garments directly from this site. Orders will be completed each time 36 garments have been collectively ordered over a span of time. Questions? Call Lucia Mumm at (509) 386-8745. You can also email Lucia.